Botanic Garden, a funny, poignant drama, is about a widow, Kate Goodman (Karen Quinn-Panzer), who is desperate to get out of a first date. She turns to the one person who can help: her deceased husband, Jake (Frank Panzer). Botanic Garden is an inventively constructed portrait of an imperfect marriage between people who always loved each other, even when they didn't get along. Scenes shift between the present and scenes from their marriage - scenes that will ring familiar to anyone married a long time. It is a fresh, engaging portrait of the intricacies of a long-term relationship. Unique and heartwarming, this play will charm the audience as it touches them, identifying with the story about the trials and joys of long-term relationships, loss and renewal. 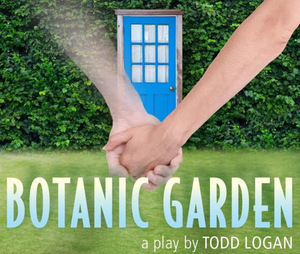 Botanic Garden premiered in 2008 at the Victory Garden Theater. The highly acclaimed production was directed by Academy Award winner Olympia Dukakis. The play runs approximately 60 minutes without an intermission. No registration required; first come, first seated.